The new warning, also referred to as [WNC-658001] is send by both email and as an alert in Google Search Console for affected websites. 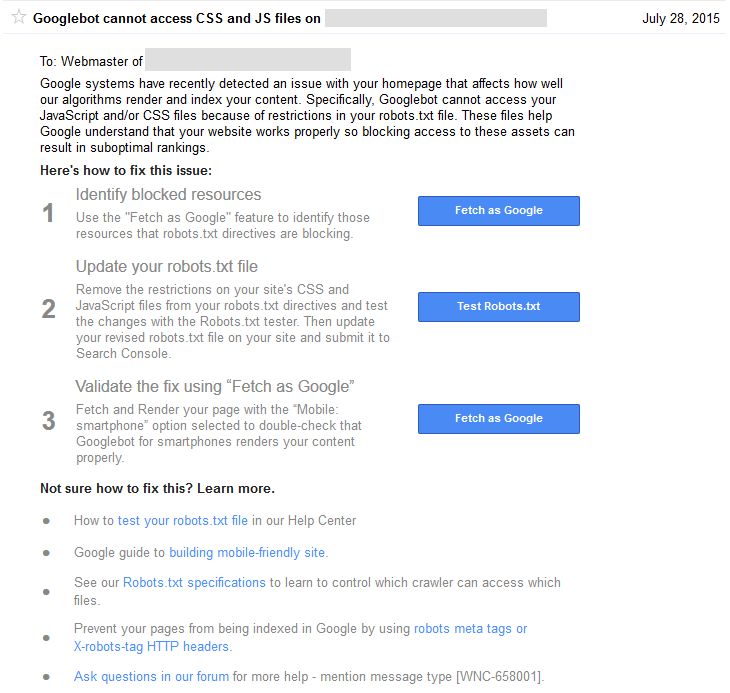 Here is a copy of the notice in Google Search Console. The blocked resources also show up in the “Blocked Resources” section under “Google Index” in Google Search Console. However, Michael Gray tweeted that he was getting the notice for resources that were not blocked. The message also outlines details of how to fix the issue, likely to help those who have no idea what it means to block those resources and do not realize it is causing an issue. Google has been increasing the number of messages they send to webmasters, alerting them to site issues that could negatively impact their rankings. I have asked to see if there is information on how many webmasters received this warning, and will update if more becomes known. Added: It looks like many are getting warnings from having “Disallow: /wp-content/plugins/” which can be blocked with some WordPress setups. If you use Yoast SEO, you can find the robots.txt in its new location here: SEO / Tools / Files. 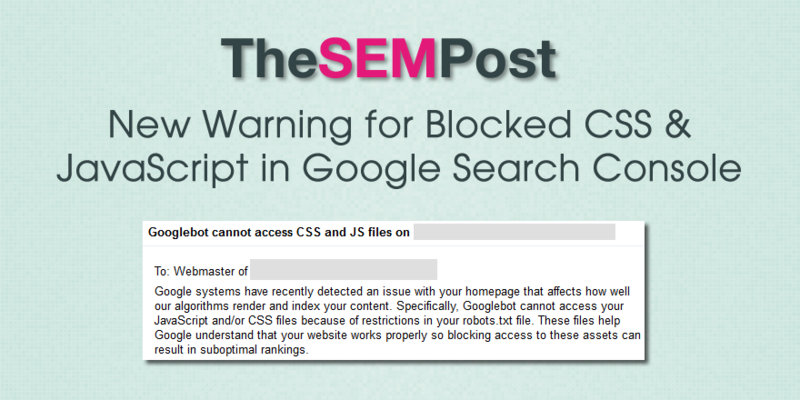 Some are getting alerts for 3rd party resources that are blocked, however, Google has previously said 3rd party resources are not an issue since webmasters since they are generally outside of the webmaster’s control.